A destination wedding is a combination of the honeymoon and wedding. These kinds of weddings are a very popular option, especially amongst couples who have children, and it is often the choice of couples who have family in another country. To get married in another country you must be familiar with its laws. Planning such a wedding is also far more complex. The help of a travel agent can therefore be indispensable. A home wedding can be done indoors as well as outdoors, under a tent. These intimate kinds of weddings place a tremendous amount of responsibility on the hosts. To have everyone enjoy the day, hire a caterer and a wedding planner. What makes a military wedding unique is the arch of swords through which the bride and groom pass at the end of the ceremony. The choice of wearing either military dress or traditional wedding attire is left up to the couple. A double wedding is simply the wedding of two couples in one ceremony. This less expensive option is often the choice of two sisters or two very good friends. This kind of wedding usually has many more guests and details to handle and demands precise coordination. The help of a wedding planner and coordinator will be greatly appreciated. The unique beauty of candlelight can also be symbolic. 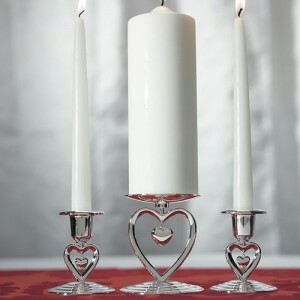 In a unity candle ceremony, the bride and groom each carry a candle that they use to light the unity candle when the officiant pronounces them husband and wife. 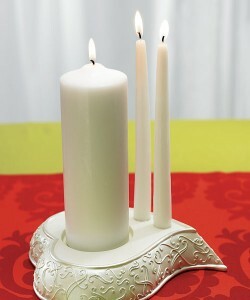 There is a variety of ways to hold a candlelight wedding. Your wedding can reflect your interests and even your favourite period in history. The season when you hold your wedding can have a great impact on the theme you choose.